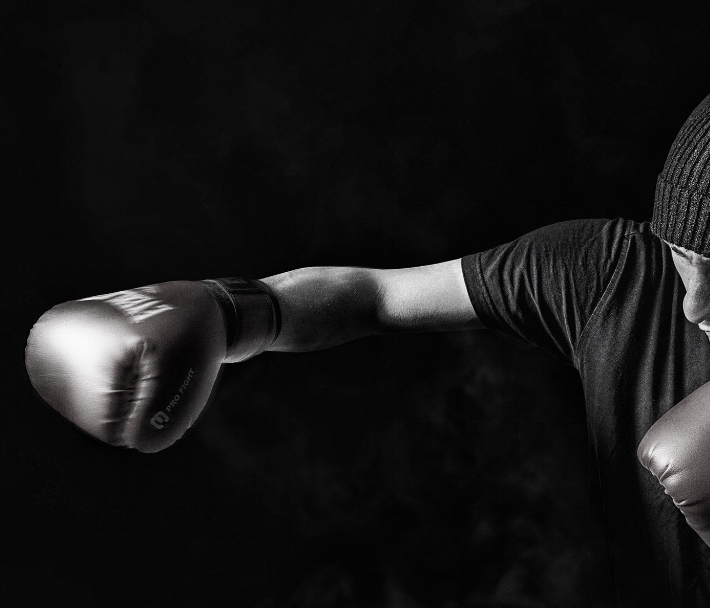 In recent years, there's been a lot of research surrounding the topic of chronic traumatic encephalopathy (CTE), or colloquially known as ‘punch drunk syndrome’ a connotation referencing its prevalence in boxing. Most often we hear the term linked to sports known for their brutality; boxing, UFC, MMA, rugby, american football... the list goes on. 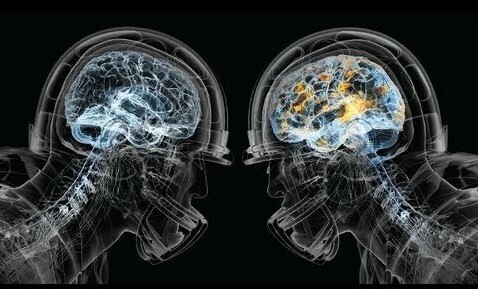 However, people rarely associate brain injury with football, but that is all about to change. The University of Boston, known for its research into the topic, has set up a ‘brain bank’ where deceased ex-footballers can volunteer to send their brains post-mortem. So far the university have received 425 brains from autopsy, 270 of them showed evidence of CTE. The general concensus seems to be that such injury is caused by repetitive heading of the ball, not the occasional concussion sustained by accident. When one thinks about injuries in football, CTE is perhaps fairly far down on the list. The first things that spring to mind are Wayne Rooney and David Beckham, both of whom suffered metatarsal fractures. Unfortunately Wayne recovered in time for the World Cup only to be red-carded in the quarter-final for stamping on the foot of Portugal’s Ricardo Carvalo. A bulldog with a broken foot, vindictively trying to level the playing field. Nevertheless, even a bulldog should be made informed when his profession comes prepackaged with major risks of brain damage. Unlike a fractured metatarsal or a torn ACL, CTE doesn’t share the same optimistic prognosis. CTE is not only associated with bleak diagnoses such as dementia, Alzheimers and Parkinsons, but also with other conditions of deteriorated mental well-being such as depression. Something all long-term players should be made aware of. 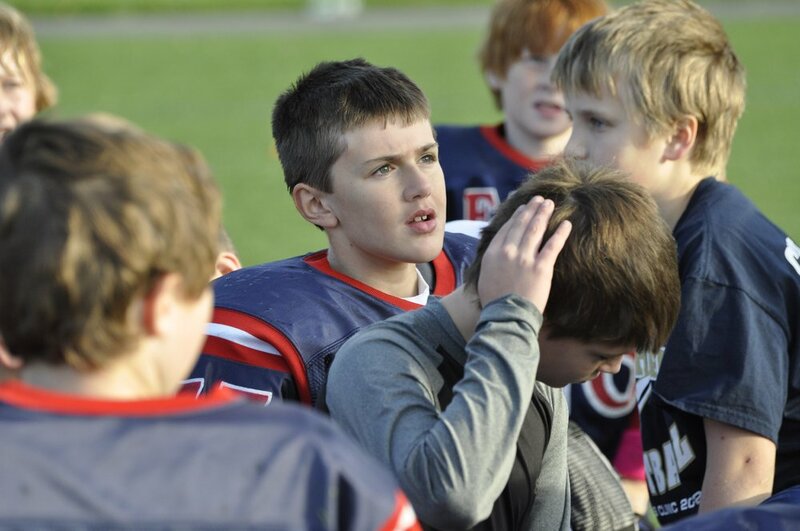 Luckily, there are ways we can prevent CTE from occurring. For one, we can educate. Not just athletes, but more importantly children and their parents. What they need to know is that repetitive head trauma, not just acute only, causes damage to neurons. Once they know this vital information, then it will be easier to implement changes preventing CTE. Another way we can prevent this disorder is by improving equipment. This can be achieved in a variety ways. 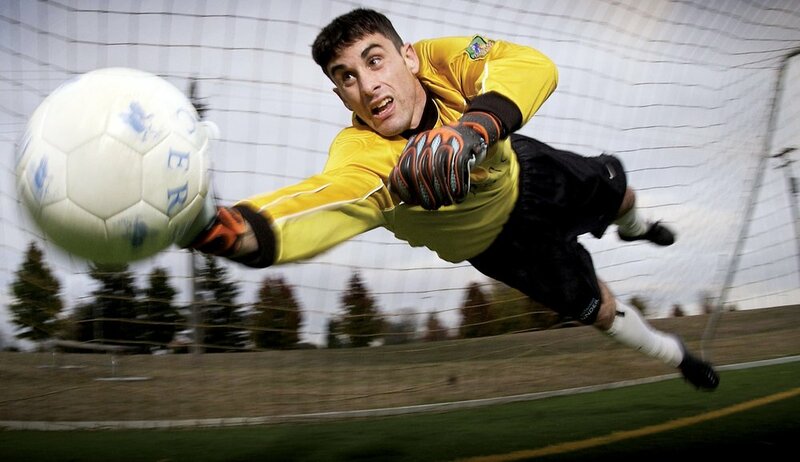 Firstly, add helmets which would absorb some shock from the ball, and therefore reduce trauma. Secondly, improve the material of the ball. With new technology it may be possible to make the ball behave the same when kicked, but transfer less energy to the player's head. These first two methods may require a bit of financing, but there is another measure which can be taken right now and won't cost anything: change the rules! We advocate that children under the age of 12 should be forbidden from heading the ball in practice, following America’s lead where such laws already exist. Now, some may ask "Why should I care whether football is safe or not?" Well, if you care about your health, your family's health or the health of your favorite athletes, then you should be interested in this topic. Moreover, this is a rare example of a preventable disorder. If effective measures are taken, then in the future the incidence of CTE and other neurodegenerative diseases associated with repetitive head trauma will be much lower. Not only will these people be happier, because they suffer from depression, aggression, etc., but they will also save a lot of money in the long run. Healthy people do not require expensive treatment, and prevention is the cheapest ways to deal with diseases. By taking a closer look at heading the ball in football and modifying it to make it safer, we will make everybody happier, and potentially save many lives and a lot of money. A few common arguments tend to resurface in opposition to our propositions. Some say that we’re being overly protective. If we emphasize safety too much, that could make the sport boring, and no one would wants this to happen. People may stop watching, and thus there would be no more financial revenue from football games. We don't think that's the case. If you look at racing for example, the safety there has been vastly improved throughout history. Nowadays, it's less common to see terrible accidents, because of new rules and technology that protects the drivers. Are Formula One, NASCAR etc. bankrupt? No! Also, what if heading the ball is a vital part of the sport? Could it still be called ‘football’ if there was an outright ban of heading the ball? Football has been played the same way for years now, so why should we change something that works? Well we added goal-line technology, and so far the backlash has been minimal. Also, if you remove heading the ball, then the word 'football' makes more sense, because you will then have to use your feet more! Lastly, there haven't been many studies focusing on heading the ball in football, so how do we know for certain that heading the ball over a long period of time causes CTE? Well, this is exactly the reason why we want to discuss this topic: to gain interest that would fuel the creation of new studies which would prove our point: chronic head injury causes CTE! It is unclear exactly how many times and with what force it is necessary to head the football before developing CTE. What is clear however, is that such correlation exists. Nobody one wants future generations to be so molly-coddled that outdoor sports are taken off the curriculum altogether, but lay-people need to be aware of the risks. Furthermore, research into what is globally considered the most popular sport must be undertaken so that professionals and amateurs alike be aware the risks of the worlds favourite passtime. This is why we would like you to learn more about this topic on www.protectthepug.org and spread the word, so that we can considerably improve the quality of life of all athletes, amateur or professional, in the world! Nobody wants to become a trembling mess in the future that could be prevented because of a simple step: make football safer, especially for your head! Steroid Ban & Criminalization: Sign Our Petition! 7. More Comprehensive Stats - Adding time in between fights comparative to number of times hit in head -- this could be added to the stats that a fighter has just like many televised fights record a computerized record to show how many blows a fighter received during the course of a fight. 9. Abolish All Sanctioning Boxing Organizations such as the WBA, WBC, WBO and IBF. 10. Make the promoters or the casinos–not the fighters–pay the exorbitant “sanction fees” to the bogus sanctioning bodies. 11. Create a poll of boxing writers and broadcasters to generate impartial ratings11. Create a poll of boxing writers and broadcasters to generate impartial ratings. 12. Establish a pension system for boxers that includes a health plan and death benefits. 13. Organize a labor union for all boxers. 14. A special panel assembled to monitor the performance of judges. There is a time to lace up gloves and a time to hang them up. 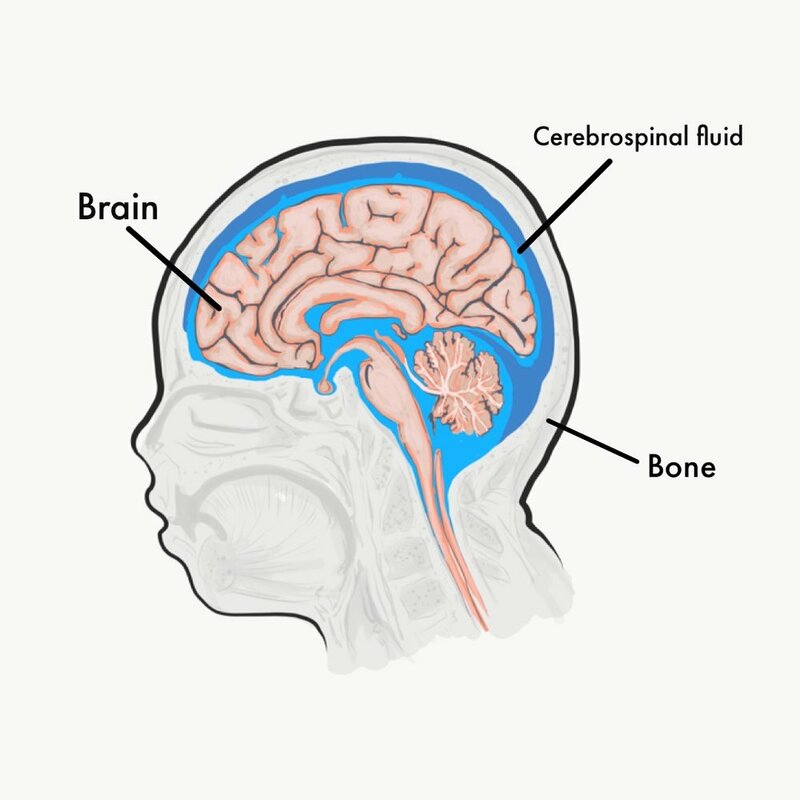 Young children’s brains are still developing - brains are small, so injury proportionately damages a larger area. Consequently the NFL has come out and stated that children should be playing flag football. Similarly, blows directed at a child’s head should be eliminated from practice and competition and restricted to the body as a child’s health takes priority. As far as the fans are concerned, how exciting is it to watch a physically immature child hit another child - especially when we know that the long term consequences are worse than if they were to compete at physical maturity? 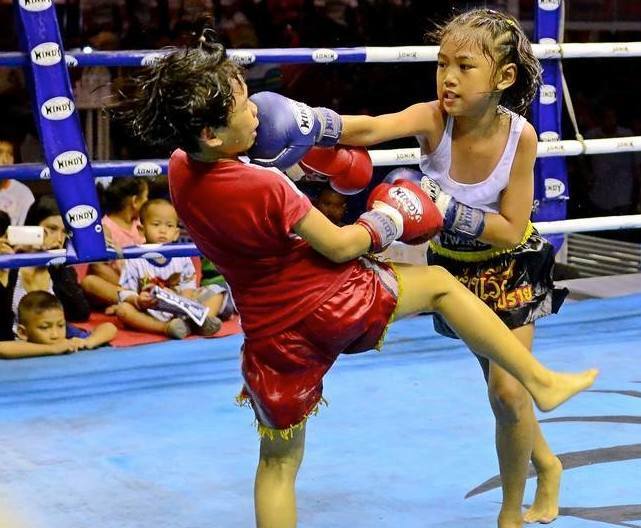 In terms of developing a child's full potential, would it not be better to teach children the lost art of body punching during their formative years and introduce head attacks after they reached physical maturity? It would make them more effective and therefore exciting fighters later on in their career and eliminate the effects on neurological trauma during their youth. In any aging fighter there is a consequential loss of physical ability, muscle mass, difficulties in making weight, deteriorating reflexes associated with age (which can also be compounded by undiagnosed progressive degenerative effects) which all contribute to decreasing a fighter’s ability to defend himself against a younger fighter and thus increased risk of neurological damage in an attempt to extend both his luck and career. Therefore wouldn't fans prefer to see two young men fight who are in their prime as opposed to an aged fighter whose physical abilities have diminished with age? Given decreased ability, the brain is subject to more trauma and thus injury. Given the hazards: These two groups must be carefully monitored. Many state boxing commissions do not evaluate fighters at the same standard. Texas for example has been known to grant licenses to injured and compromised fighters when other states will not. Classic example is Edwin Valero who had a spot on his brain who was refused license in every state except Texas. These infractions need to be widely publicized and pressure put on these commissions to better protect fighters. Given that many progressive neurological disorders cannot be diagnosed by today's imaging methods, not to mention that neurological damage is irreversible - we have to exercise preventative methods. Protect the Pug is not picking on boxing or any other sport that subjects an athlete to head trauma, but simply reduce those factors that increase the risk of neurological damage just like when we developed head gear and football helmets to reduce head trauma. Is the fighter still a legitimately ranked champion? Is the fighter reflecting an increase in losses in their record? Or a record that would indicate that he is taking too much punishment and not suited for the sport? For example, there are fighters who are over 35 who have accumulated records with no wins and over 100 losses. You certainly do not have this lack of talent in other professional sports such as baseball or football. Given that boxing does not tolerate mediocrity without consequence, such fighters should not be allowed to participate due to risks to their health. These fighters are called “opponents” and are on hand to be exploited by promoters who are looking to pad their upcoming proteges’ records as means to delude audiences of their skill, build fan bases, and set up lucrative fights against higher level fighters whose records are also often padded. Having two undefeated fighters with impressive records - regardless of the quality of opponents beaten sells more tickets than those same two fighters meeting with losses on their records against more difficult opposition. Unfortunately, the “opponent” suffers from the beatings he should be barred from taking. What is the Justification of an older fighter fighting? With these realities in mind, who wants to see an old fighter whose skills have been diminished by age - basically a shell of his youth - fight? Other than the value of his fan base that buys tickets - that took years to develop what does the fighter truly contribute to what is arguably a young man’s sport? Worse what risks does he impose to himself and criticism of boxing by the medical community? Case example: Bernard Hopkins at age 51 returned to the ring 2 years after taking a savage beating at the hands of a young Sergei Kovalev and fought 27 year old knockout artist Joe Smith. Smith knocked out Hopkins. Blatant Greed and Ignorance: It is these kinds of practices and behavior that threaten the sport of boxing, the business of boxing, the reputation of boxing and the lives of the fighters. Boxing is a young man’s sport. Fans want to see skill at its highest form, not an impaired deteriorated fighter take a savage beating where they longer belong. When fighters are knocked out in competition, they are suspended for 90 days. The same practice should apply to being knocked out during training in preparation for a fight. Just as we test fighters for anabolic steroids, fighters need to be routinely tested if they have suffered a concussion during training. Example: In preparation for his fight with Conor McGregor, Floyd Mayweather was rumored to have been knocked out in sparring and not brought in for a routine evaluation - which if it was determined that he had a concussion, would suspend him from fighting for 90 days. Such a suspension of course would have postponed the fight and caused a great financial inconvenience. Ironically, we do random drug testing on athletes for suspected use of steroids,y et when it comes to traumatic brain injury and the risk of a man’s life we do nothing. Floyd was soon to be 41 years old, had been inactive for two years. His Uncle Roger who is only 12 years his senior 53 years old, a former two time world champion suffering from dementia. If it had been a reported that he was taking steroids, he would have likelybeen tested. Interestingly, the NAC who should have tested him for concussion, instead broke their own rules by dropping the glove weight from 10 to 8 ounces at Floyd's request. Would that have happened if a Federal Oversight Committee had been in place? Example: Manny Pacquiao did not report shoulder injury he incurred prior to his fight with mega-fight Floyd Mayweather out of concerns that the fight would be cancelled. Pacquiao requested an anti-inflammatory injection before he entered the ring to fight Mayweather. although he was denied the injection, he was allowed to fight despite being impaired. How much? After the fight, Pacquiao required surgery, which meant that he was impaired as a fighter who was able to properly defend himself. 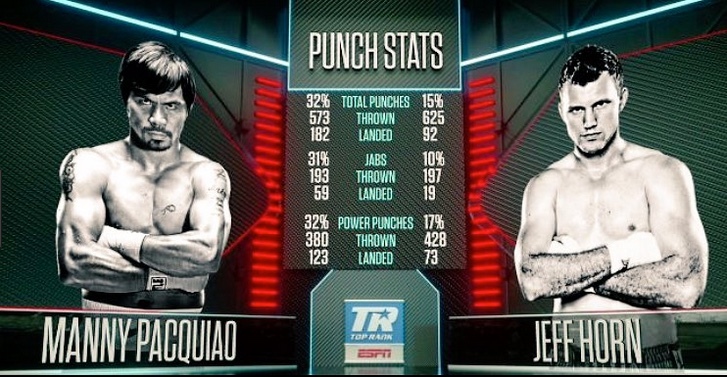 If there was a Federal Oversight Committee in place, would Pacquiao have been allowed to fight? Many progressive neurological disorders cannot be determined until post-mortem autopsy. Although medical science is trying to determine blood markers for such diseases as CTE, there are currently other exams that proffer insight such as PET-CT exams. Unfortunately, these exams are expensive and the medical community is in fight to get the companies who own these machines to bring the expense down. But until we start to spare no expense, conclusive answers will continue to evade us. As Former Two-Time World Champion Roger Mayweather and trainer to Floyd Mayweather Jr. famously remarked, "Most people don’t know sh-t about boxing” which is especially true when you consider that coaches are not required to undergo any kind of formal certification. Anyone off the street can walk into a gym and call himself a trainer, despite not having any knowledge about boxing basics, first aid, or signs of concussion. What most athletes and coaches have not formally learned and therefore do not understand is that motor control is developed and controlled in the brain. When you destroy these centers with diseases like Parkinson’s Disease and ALS, then you destroy the very programs that an athlete develops over the years through practice that enable the athlete to perform. It takes a minimum of 10,000 hours of hard training for a person to transform him or herself into a world class athlete. Ten thousand hours to not only develop the muscles and flexibility, but more importantly the programs of coordination in the brain that store and enable championship mastery of movement of any given sport. If these pathways are impaired, even the simplest tasks such as drinking a cup of coffee is difficult – much less being able to perform complex moves requisite at a world class level. So Yet what most athletic coaches don’t realize is that regardless of muscular strength, effort or past experience – without a healthy brain all motor related attempts are in vain, much like as it is analogous to running a computer program after the code has been removed. So how do we fix the problem? Protect The Pug's "Pug-Ed" education program is currently assembling a team of top trainers, physiologists and neurologists to educate and certify coaches and fighters. Because many fighters and coaches are not aware and/or or do not understand or care about of the dangers of head trauma - many fighters fall prey to an unsafe and abusive gym environment. A famous example, of this is was exposed when Floyd Mayweather Jr. and Showtime was sued by the Rahman family. The family said that Mayweather forced Rahman’s two sons to fight when they wanted to stop during the filming of an All Access Episode. "The doghouse -- the rules are you fight 'til whoever quits," Mayweather said in the episode. Later, a smiling Mayweather adds, "Guys fight to the death. It's not right, but it's doghouse rules." Mayweather was called in to answer to his remarks before the NAC. Mayweather stated that his comments were not true and were to only promote the fight. The commission wasquestioned Mayweather about the "doghouse" fights, accepted his testimony (which was not taken under oath) and adjourned the matter to the chagrin of many, since there were many other people in the gym, including Showtime production personnel, who were not questioned about what happened. Whether true or not, the portrayal that was scripted and promoted in the All Access documentary does not set a good example for fighters, coaches and gyms who look up and emulate Mayweather. It is especially sadistic, given Floyd's Uncle, Roger Mayweather, a former two time world champion who is now in his mid 50's, suffers from a severe neurological disorder that both Floyd Jr. and others believe is attributed to the blows Roger took during his career. Adding time in between fights comparative to number of times hit in head -- this could be added to the stats that a fighter has just like many televised fights record a computerized record to show how many blows a fighter received during the course of a fight. The problems in the business of boxing are rife. From State boxing Commissions having conflicting interests of satisfying promoters or risk losing lucrative fights to other states to judges who chronically render bad decisions which push a fighter back in the line of having to work his way back up which means taking more trauma to lax laws which do not penalize fighters who use performance enhancing drugs. In the end, it is the fighter who takes the punches and suffers irreparable damage. Boxing and other combat sports are in dire need of a Federal Oversight Committee. "Senator John McCain and former New York State Attorney General Eliot Spitzer have both urged the creation of a national commission as the key to any purification of the cruelest sport. They understand that only a national regulatory authority can enforce such things as standardized tests and licensing for ringside doctors, judges and referees; national suspensions after three straight knockouts; a central repository for CT scans, MRIs and blood tests for drugs, steroids and HIV." "9. End all recognition of the international sanctioning organizations–the WBA, WBC, WBO and IBF. “All it would take to make them irrelevant is for the TV networks to announce they no longer will recognize the ratings of these groups,” Spitzer said. Under the current system, champions have to pay 3 percent of their earnings to the WBC, WBA and IBF for the privilege of risking their title against a challenger approved by these worthless outfits. When Evander Holyfield testified before the Senate in August 1992, he said that he had to pay $590,000 in sanction fees after his previous title defense. The sanctioning groups will strip a champion of his title and declare it vacant if he doesn’t pay. This is close to extortion. Over the course of his career, Holyfield has paid about $20 million of his earnings in sanction fees. Maybe that’s one reason he’s still fighting as he nears 40, well past his prime. This is the way it works in college football and basketball. The writers covering the games vote on the best teams. There is no reason boxing ratings can’t be compiled the same way–as long as it is a truly international poll. If a few popular champions recognized these rankings, that would be the final interment of the sanctioning bodies. This could be accomplished if the fighters, promoters, cable TV networks and casinos agree to allocate just 2 percent of the revenue from all the mega-matches on pay per view to underwrite this endowment. Three such fights in one year would start a fund of $5 million or $6 million. A top accounting firm should audit and administer the fund. Any boxer who has been active for four years, or has had twenty bouts, should qualify for the system. But nobody who has taken a lot of beatings should be allowed to keep boxing just to qualify. Paul Johnson and ex-champ José Torres have been agitating for a union for years. The best model is probably the Screenwriters Guild, since fighters are independent contractors. Traditional union solidarity and collective bargaining may not be practical among men who have to fight each other. But a union could provide a collective voice for individual rights. A union could audit pay-per-view revenues and the expenses promoters bill to fighters that often seem illegitimate or padded. A union could also demand a higher minimum payment for preliminary fighters. In many matches –the judges are picked by the promoters and the sanctioning bodies, not by the state commissions. In many cases the judges are paid by the promoter, including travel expenses. They know which fighter is under an exclusive contract to that promoter. They don’t have to be told that if they favor that promoter’s employee, they will get future assignments from that promoter. Can you imagine a baseball owner picking and paying the home-plate umpire in a World Series game? Those who are biased or engage in favoritism should lose their licenses. Judges should be required to make full financial disclosure to this licensing panel." 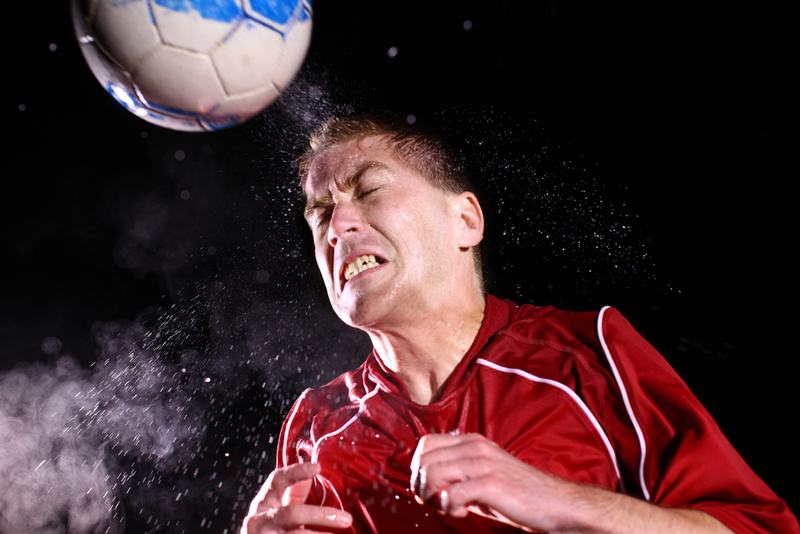 Concussive blows are dangerous in any quantity, let alone the innumerable number of blows a professional contact sports athlete occurs during a multi-year career. Unlike orthopedic sports injuries, the effects of these blows and the neurological disorders that ensue often do not show up until years after an athlete retires. At Protect the Pug, our united voice will not only strive to protect the fighters with proper policies enforced, but also ensure that top quality fights are being brought to the fans. 1) Establish Physician & Student Medical Advisory Council in all Universities. See more here. 2) Establish Medical Internships promoting neurological holistic health. See more here. 3) Establish "Pug Ed™" - to train Contact Sports Coaches how to better protect their athletes. See more here. 4) Develop Petitions to accelerate lifesaving changes to flawed policies. See more here. 5) Form a Protect the Pug Movement monitoring the ignorance and misconduct of Coaches and Commissions through both Petition and a push for protective legislation. Coming soon. 6) Push for legislation where Boxers and MMA Athletes who use illegal PEDs to gain an unfair advantage in strength, and thus increase the likelihood of their opponent incurring head trauma, are criminally prosecuted. See more here. 7) Raise Funds For Medical Research in an effort to both minimize the occurrence of progressive neurodegenerative diseases and ultimately find a cure. Coming soon. 8) Get a Federal Oversight Committee instituted to make Professional Boxing safer and fairer. See more here. In light of recent medical evidence regarding the effects of head trauma from contact sports, isn’t it time soccer did away with the archaic and dangerous practice of heading the ball? 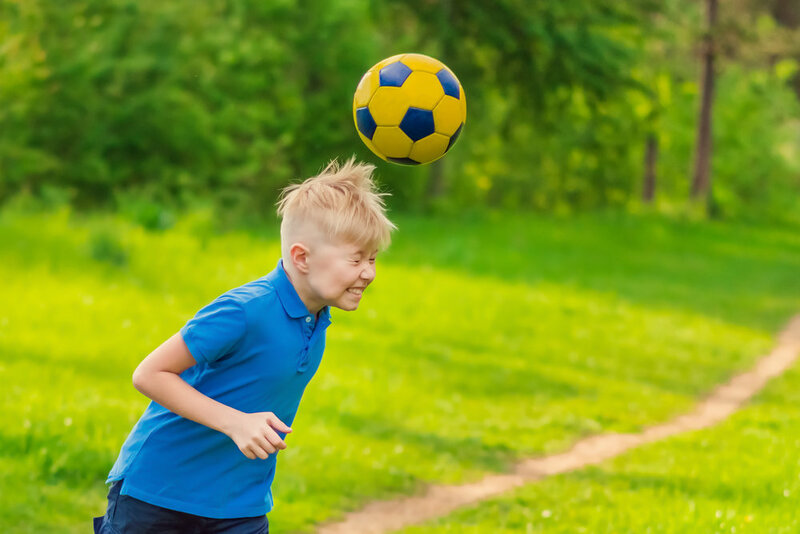 In 1995, a medical research study showed that children who headed the ball in soccer suffered a 9% reduction in IQ in comparison to their peers. Oddly, no one really paid any attention - not coaches, school officials or even parents. But now nearly two decades later, there is a new dilemma that has been discovered - Chronic Traumatic Encephalopathy or CTE - a neuro-degenerative disease that seems to be common denominator for all contact sports. In soccer, CTE also seems to be linked to the concussive effects of heading the ball. And still, many school officials and law makers are doing nothing about it. Consequently, many parents are unaware of the consequences. Parents need to be made aware. At Protect the Pug we need to push for changes in legislation to eliminate this practice in soccer. But given that laws are slow to change, we need to urge schools to advise parents with brochures that they need to both read and sign to give their children to participate in a game that currently allows them to head the ball. We created a petition which is looking to change laws that prevent schools from letting children head the ball during play and also provide parents with literature making them aware of the dangers. This petition can be accessed here. Concussive and sub concussive blows are not only linked to CTE but also other neurodegenerative diseases such as Parkinson’s Disease - diseases that not only sabotage a players IQ but also ability to athletically perform. That’s right the very abilities that enable an athlete to perform at the world class level. If that’s the case, other than lawsuits, shouldn’t professional team owners who own multi-hundred million dollar teams, and pay their players millions of dollars a year be concerned that a single practice could be destroying their players ability to perform? If no one cares about the welfare of a child’s mental and intellectual development - if it is all about the bottom line of profit - then in light of the risks to players and investment, would it not be wise that the team owners and the league wake up and agree to eliminate this one dangerous practice of heading the ball which will protect their investment in a number of ways from their players ability to perform, to preventing lawsuits from players both now and in the future, from parents keeping their children out the game which will potentially result in the loss of the next Lionel Messi, to the sport consequently suffering loss in overall participation, fan interest and ultimately lost revenue like American football? It will certainly be a lot easier and faster to get schools, parents and children to comply if the rule change came from the top - The Fédération Internationale de Football Association (FIFA). What do you say guys? Contact Sports and Progressive Degenerative Changes in the Neck can cause Destructive Changes to the Nervous System, Athletic Ability and Performance - What an Athlete Needs to Know! We already discussed in our “What it takes to become a World Class Athlete - What Most Trainers Do Not Know” video how concussive and sub-concussive blows are linked to progressive neurological disorders such as Parkinson’s Disease and other motor degenerative problems . But there is another less discussed, yet common problem among contact sports athletes (as an indirect result of blows to the head) that can cause serious motor related problems that can also rob an athlete of both their ability to perform: It is called Cervical Spondylosis with Myelopathy. When a contact sport’s athlete (e.g. boxer, football player, wrestler falling to mat) receives a blow to the head, the skull violently rocks back similar to the manner of when someone is rear ended in a car accident. Consequently, the brain smashes inside the skull as well as being subject to torsional forces thus predisposing it to injury. Additionally, the sudden whiplash force that knocks the head back also traumatizes the intervertebral discs. This is why it is not uncommon to see a coinciding disc herniation in the neck alongside the presentation of a brain concussion. 1. the ventral roots (see picture above) that come out of the spinal cord. The ventral nerve roots are responsible for motor control, muscle contraction or movement. 2. Cause the production of osteophytes or uncontrolled growth of bone spurs. Both the growth of disc calcification and spurs over time can grow back and not only press on the nerve roots, but also the spinal cord itself. They can also interrupt cortico-spinal pathways which innervate the lower limbs. This condition is known as Cervical Spondylosis with Myelopathy and can affect both the cervical joints and discs. This one-two punch combination can be disastrous because compression of these delicate structures can cause the upper limbs (arms, hands) to develop lower motor neuron problems (hypotonia, hyporeflexia, flaccidity), and muscle atrophy due to a lack of innervation and, in severe cases, potentially impair cortico-spinal descending tracts which will affect lower motor neurons present in the lumbar area which control the lower limbs (legs, feet) to develop upper motor neuron problems (hypertonia, hyper-reflexia, spasticity). If this problem persists long enough, permanent nerve damage and consequent muscle atrophy can result. A person with Cervical Spondylosis with Myelopathy will typically present with both neck pain and limited range of neck motion due to irritation of motor neurons. They may also complain of arm pain and eventually arm weakness, if there is extended compression of the ventral roots. In this video, MMA fighter Holly Holm talks about the loss of tricep strength and arm pain following a cervical disc herniation. If you are going to participate in contact sports, you better have a strong neck. Importance of strengthening neck and trapezius muscles are not only important for reducing the incidence of head concussions, but also important for protecting the intervertebral discs of the cervical spine. However, training neck muscles also carries risk when not performed properly. When performing strengthening exercises, one must exercise care that they perform exercises properly, so they do not injure the delicate disks or joints that comprise the cervical spine. Therefore, before undertaking any kind of weight training program consult both your doctor and seek the help of a qualified trainer. 2. Train Smart and minimize hard blows to the head in training. 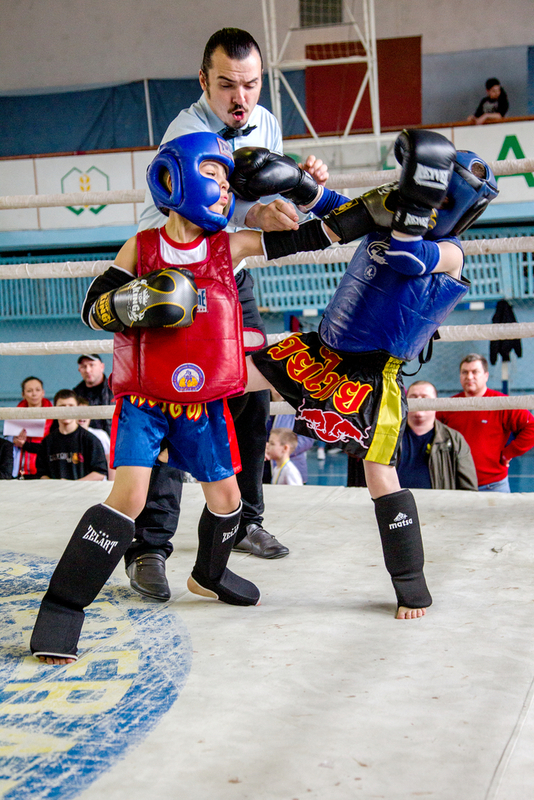 Boxers and MMA fighters need to minimize the practice of hard blows to the head in sparring, while wrestlers need to take care how they throw their partners and pressure applied to the cervical region during practice. By exercising more precaution in contact training, not only will you reduce the amount of head trauma that is linked to progressive neurological disorders, but also degenerative changes to the cervical spine which can occur as well. In this video, Boxer GGG performs neck training exercises to help better protect both his neck and brain from concussive blows. Cervical Disc Injuries: More than Just a Pain in The Neck! Neck injuries are a serious matter in contact sports - but not discussed often enough, as we typically pay attention to only those high profile accidents which cause immediate and traumatic quadriplegia or paraplegia such as when Nick Buoniconti’s son Nick Buoniconti Jr. was paralyzed during a practice scrimmage or when actor Christopher Reeves fell off a horse and broke his neck. However, even seemingly minor neck injuries should be taken seriously and evaluated by a physician, as degenerative changes can not only rob an athlete of their ability to perform, but also dramatically affect their overall quality of life. I wish to clarify some points made in the first part of this article, which centered on ESPN’s special on Contact Sports and Brain Trauma (reference here). Although most of us are aware of the obvious risks that contact sports pose to cognitive function – few understand the risks posed to hormonal function. Unless someone has been previously exposed to this research, the idea that brain trauma can lower testosterone levels is counter intuitive – given that testosterone is produced in the testes and not in the brain. However, you can see how this is both possible and logical since it is the pituitary gland’s production of LH (luteinizing hormone) that is responsible for the production and regulation of testosterone in the testes. In the video, former World Champion James Toney was shocked when his doctor told him he had low testosterone levels as a possible result of brain trauma. A condition that doctors are only now beginning to understand. The documentary depicts an ironic twist of how contact sport athletes – known for their reputation of testosterone-related aggression – risk suffering from low testosterone as a result of the unavoidable hits they incur. It is important that both athletes and especially parents of child athletes are well informed of every given sport’s risks. Only then can we innovate the necessary safety provisions to better protect all participants from harm. Please feel free to share or let us know your thoughts on this very important topic. Former world boxing champion James Toney and many other contact sports athletes reportedly suffer from low testosterone levels which may be attributed to brain trauma as discussed in this ESPN Report. 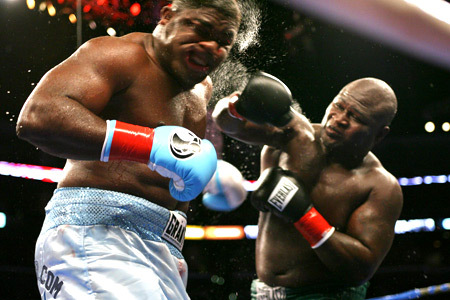 James Toney demonstrates the kind of blows that can wreak havoc on the pituitary gland. Could this be a contributing and perhaps arguably ethical reason behind why Toney and other contact sport athletes such as football players widely resort to using anabolic steroids? I know what you are thinking… low testosterone levels in a man is not exactly an attractive attribute. It is bad enough, boxers have to deal with jokes and characterizations about being punch drunk. But now low testosterone levels? The very precursor to low libido, low energy, depression and impotence??? Talk about a woman’s idea of a fun date! I shudder to think of the social stigma that will be attached to this new finding. So if your single, maybe it’s not a great idea to brag to your date or Facebook page that you are a boxer, a football player or any kind of contact sport’s athlete for that matter. Be sure to let us know your thoughts on this hot and very controversial topic.